← Beyond Katrina…. Crescent City Mardi Gras 2012… We need to celebrate those Wild Wild Indians…the spirit is alive! AFTER READING A TRIBUTE to one of David Gaffney’s life loving Chen taijiquan students, who is sadly no longer with us, I was finally prompted to pen a few words on his and Davidine Siaw-Voon Sim’s book ‘The Essence Of Taijiquan’. Self published through Blurb, this is their second book on Chen family taijiquan, and I snapped up a copy within a few days of its release. That was few months ago, and since then I’ve been carrying around and dipping in whenever I’ve had a bus or train ride or whenever I’ve felt the urge. My own involvement with taijiquan goes back almost three decades. I first came across Chen taijiquan when I was in Japan in the mid Eighties. Back then I was practicing Yang taijiquan (Chen Man-Ch’ing’s short form and Yang Chen Fu’s long form) and it was two Budo loving friends in Tokyo, who had been fortunate enough to train with the current gatekeeper of the Chen family, Master Chen Xiaowang, who gave me a video of him on Japanese TV demonstrating the 38 form. I was impressed. 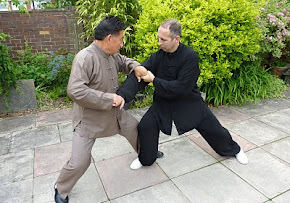 I was aware that Yang taijiquan had derived via Yang Lu Chan from the Chen family and this flowing form which was alternatively slow and explosive seemed to answer some of the questions and reservations I held at that time. I studied and copied the moves from the first section of the form and showed it to one of my Tokyo friends. His response was, “Looks like it it but it’s not it.” A lesson was learned. Basically, you can’t learn solely from a video or DVD… you have to have a teacher. Above: Chen Xiaowang mid 80s in Japan. 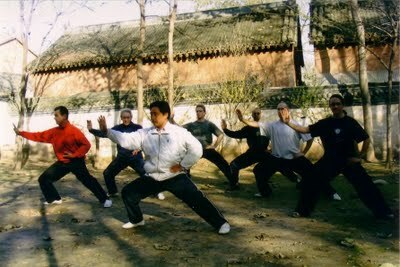 At that time, nobody in London was teaching Chen taijiquan so it went on the back burner. 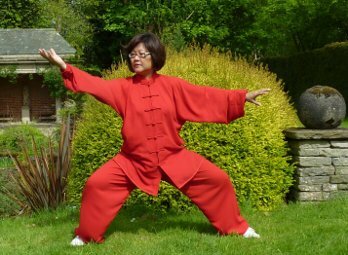 However, post the new millennium I encountered Kinthissa, a convert to Chen taijiquan from Yang style and a student of Master Chen Xiaowang. Through her I was introduced to the coiling, silk reeling core of the art and the importance of alignments and structure. From Kintissa I progressed to Shifu Liu Jun Quan’s Taiji Circle in Camden. Shifu Liu has studied with Chen Zhenglei and Chen Xiaowang – two of the Four Tigers of Chenjiagou village – the home of taijiquan in Shanxi province – and he teaches the whole system which includes numerous hand and weapon forms that have both health and martial dimensions. 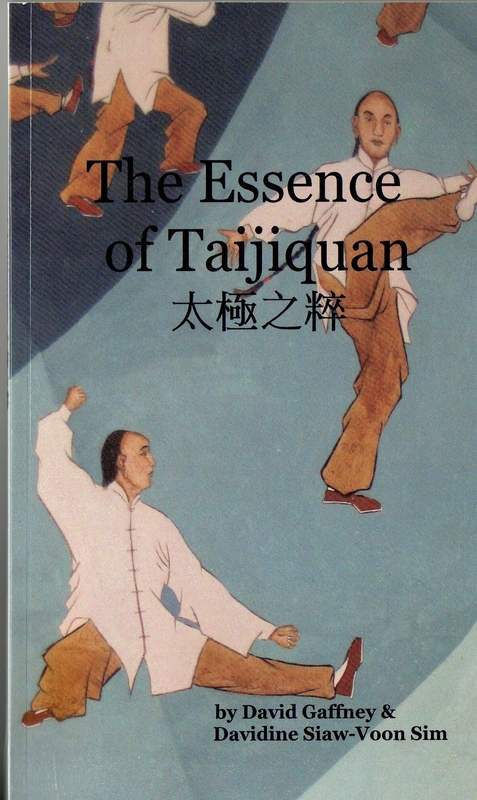 As this book, ‘The Essence Of Taijiquan’, is rooted in both author’s experiences of training as teachers in Chenjiagou village it is immediately relevant to my own chosen path. Their first hand knowledge and their rapport with the various high level teachers from different generations – Chen Xiaoxing to Chen Ziqiang – is consistently enlightening. In journeying to the source we get an insight into life in the village itself. 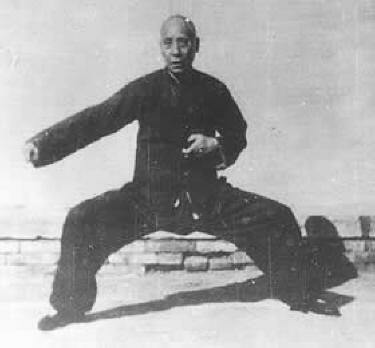 Despite the dark days and the repression of the cultural revolution, when many martial artists were hounded and persecuted, the people of Chenjiagou kept the art of taijiquan alive by practicing in secret. It seems ironic that today, Chenjiagou village, is thriving as the global epicentre for the study of Chen taijiquan. This book immerses us in the history of the Chen family and introduces the reader to Chen Wangting, who developed the foundation of this fighting art in the 17th century and the scholar Chen Xin who, in the 19th century wrote the classic Illustrated Canon of Chen Taijiquan. Gaffney and Siaw-Voon Sim touch on Daoism and the philosophical roots of the art and open up areas of discussion that relate to essential concepts of internal training from breathing in taijiquan to Chansijin (sik reeling) to the Six Harmonies..
Basically, the reader is given access to the training syllabus in Chenjiagou and that includes the various tried and tested paths you are required to take if you wish to progress through the five levels of skill they have defined through centuries of hard work. As such this book is relevant to anyone studying Chinese martial arts. It gives an clear overview of what is required of you, if you choose to train in this art. From foundation skills to bare-hand forms to sensing and push hands (tui shou) to weapons like straight sword (jian), broadsword (dao), spear (quiang) and Spring & Autumn B’sword (Chunqiu Dadao) we are taken on a rapid fire but most succinct tour. In fact, one the great things about this book is that it provides us with the essential concepts and the Chinese names and terms that go with them. Even though I don’t speak Chinese (apart from thank you (Xie xie) and one, two three, four (yī èr sān sì … ) it’s most useful to wrap your head around terms like, peng, kong, an, ji, zhan, lian, jin etc. Having experience serious frustration and disillusionment with my own practice at different times I feel this book provides a handy reminder that we all need good teachers who can guide us through the various stages and in many respects ‘The Essence Of Taijiquan’ also shows us what we should be expecting from those who do teach – especially in relation to qi development and martial applications. Above: Around 4.18 Master Chen starts tossing new generation master Chen Bing around! All in all, there is a lot of information in this book to take on-board and I’m sure I’ll be dipping it on a regular basis. It’s also whetted my appetite for the forthcoming translation of Chen Xiaowang’s forthcoming book on the Five levels Of Skill. This entry was posted in Wushu and tagged Chen Fake, Chen Xiaowang, Chen Zaopi, Chen Ziqiang, Chenjiagou, David Gaffney, Davidine Siaw Voon Sim, http://www.chentaijigb.co.uk, Kintissa, Shifu Quan Jun Liu, Tai Ji Circle, taijiquan, Turning Silk. Bookmark the permalink.